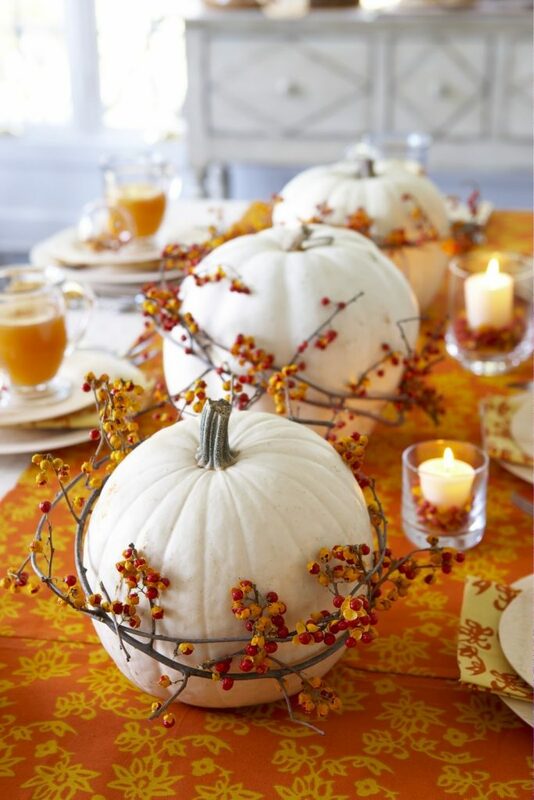 As you are able to notice, pumpkins are one of the must-have parts of fall table centerpieces. 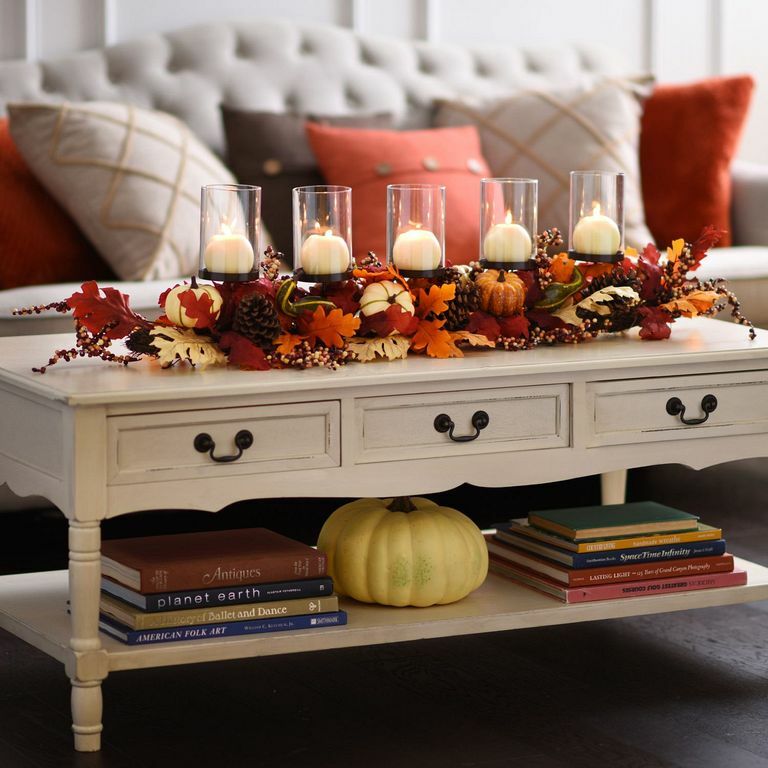 They can be decorated in many different ways, from leaving them plain to spray painting them or even adding some glitter. 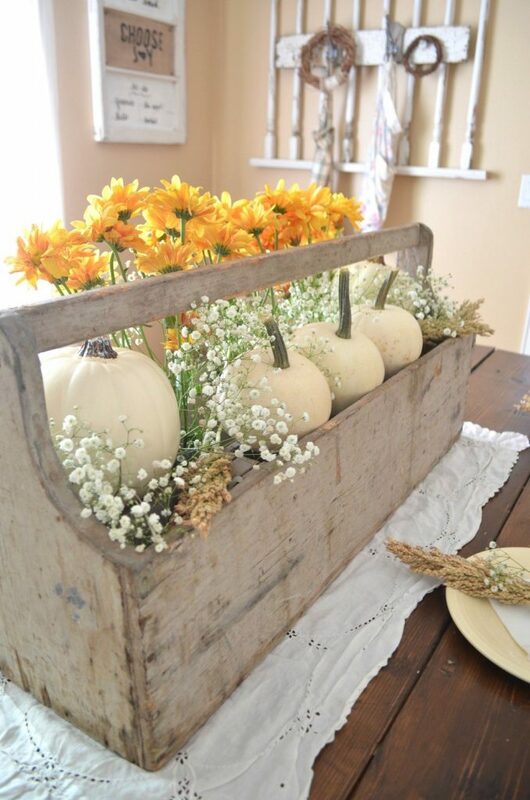 Pumpkins can be also turned into beautiful cases, by simply cutting off the top, removing what’s inside and then filling it with flowers. 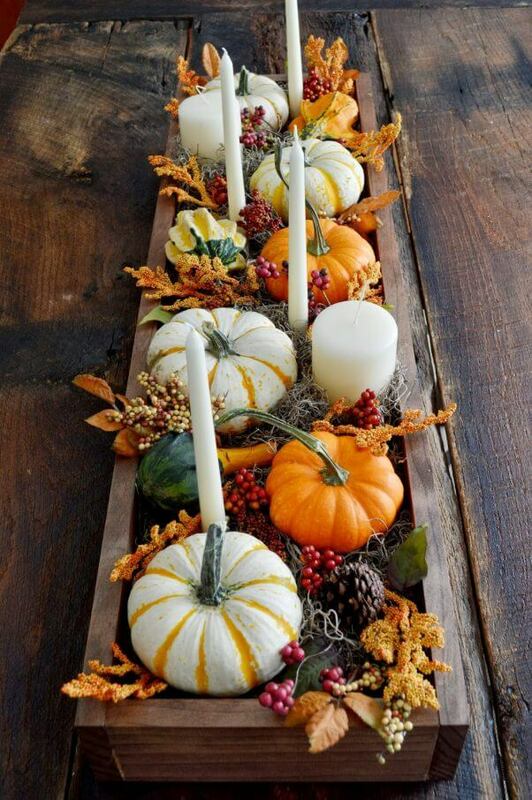 Besides pumpkins, a fall centerpiece can also include other symbols of fall, such as apples, fall leaves, pine cones, nuts etc. 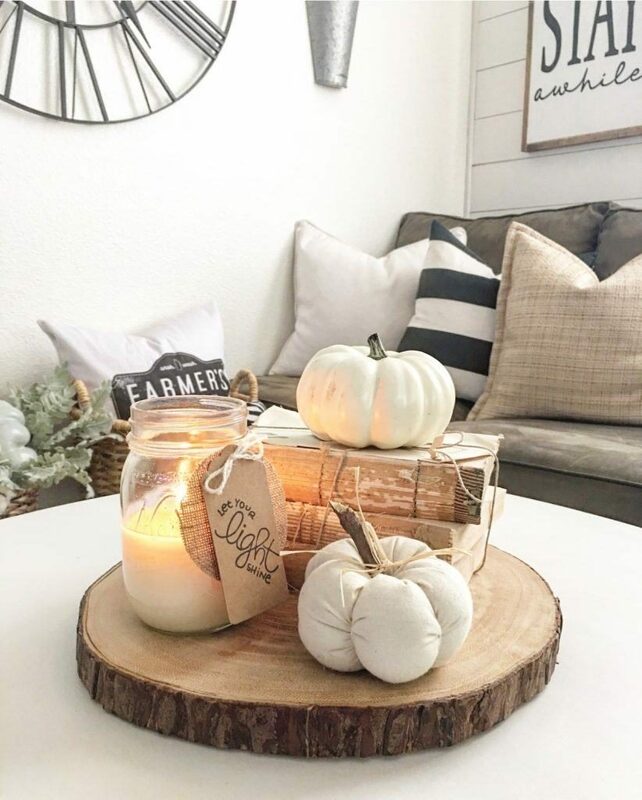 Wood logs can be also included to add more warmth. 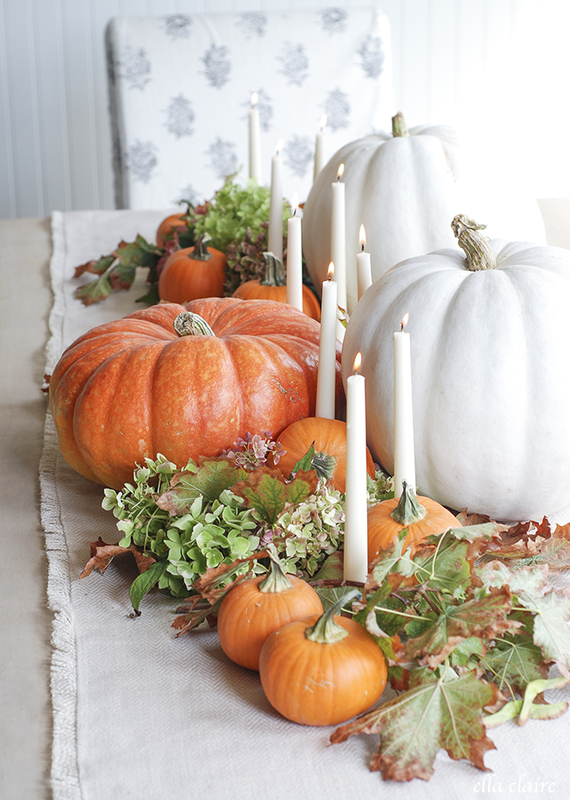 You may even make a unique candle holder out of a wood log, or maybe a vase as an alternative to a pumpkin vase. 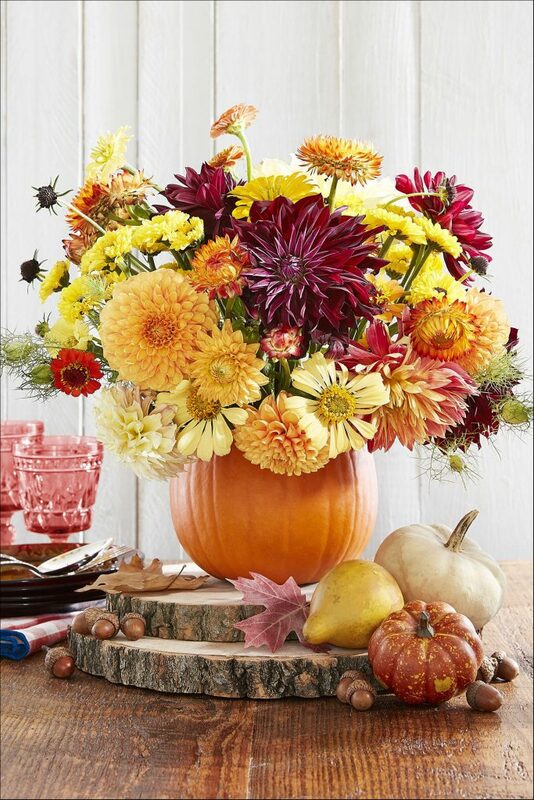 Just be creative and create a fall centerpiece that will make a statement. 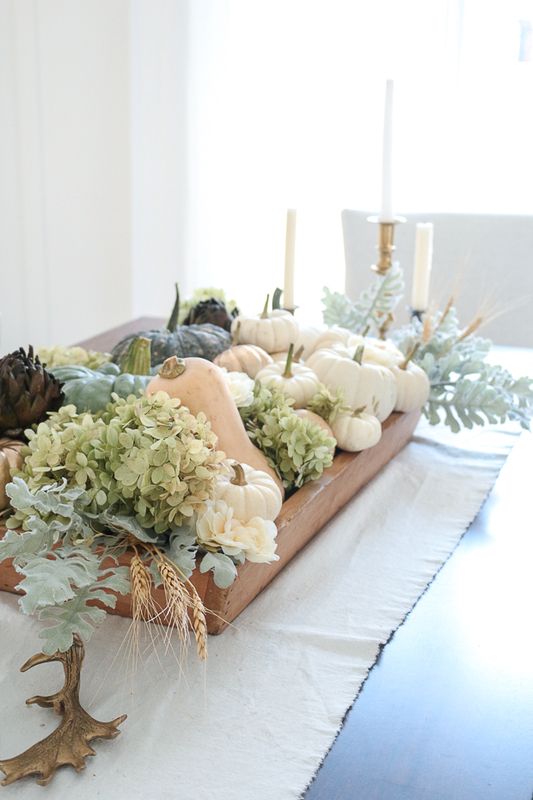 So, which one from these ideas would you try to copy and thus wow your guests this fall?